All Yale Fire Safes are equipped with a unique digital security keypad unlike any other on the market today. 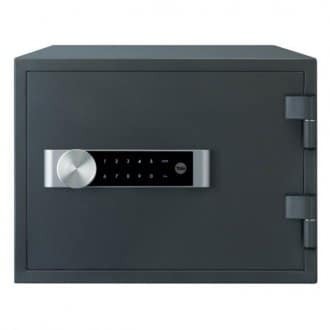 A scramble number input enables personal codes to be hidden within longer sequences of numbers, whilst additional access codes can be set for one time use, ensuring privacy no matter who is in the room when accessing your safe. Protects passports and other precious paper documents from fire. Tested to withstand up to one hour of intense fire.